No piggies were harmed in the making of this bacon. Holy wow! I’m so proud of myself for this one (but honestly, it’s quite simple to make). 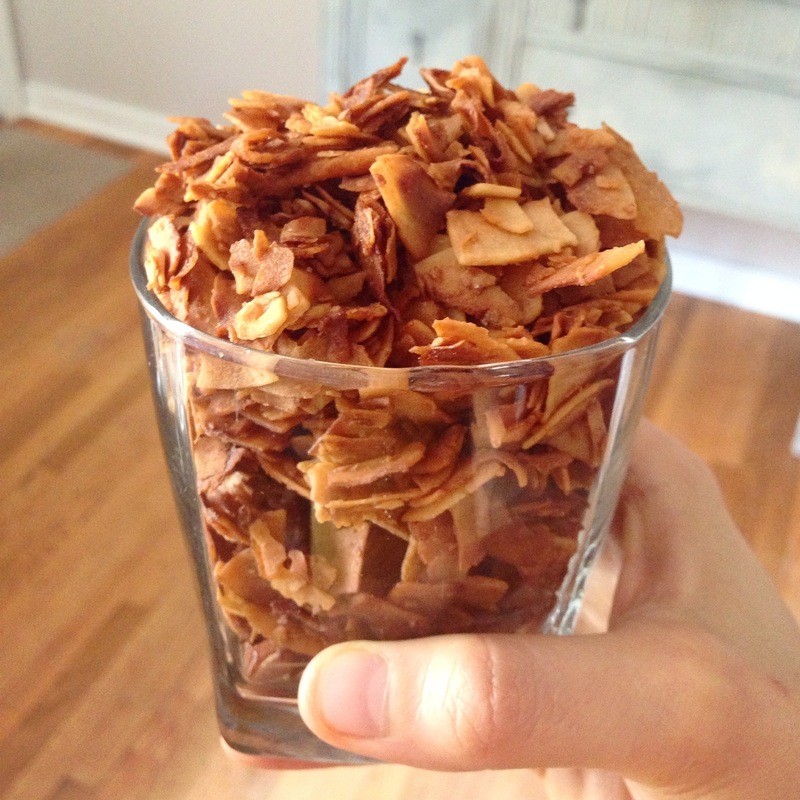 I really got a solid coconut bacon recipe down. It took only 20 min total including prep and bake time. It’s low-effort and ummm… tastes better than bacon made from a pig, in my honest opinion. REALLY good! You don’t have to miss bacon at all when you have this delicious treat! Salty, savory, sweet, and crunchy – plus it’s a healthy fat made with organic shaved coconut (a real, whole food, my friends). You can eat this by itself for a treat, in a breakfast scramble, in an avocado sandwich, in wraps, on top of salads – you get the idea. 2. Place nonstick baking paper on a cookie sheet. 3. Spread out shaved coconut evenly across the pan. 4. Coat with all of the remaining ingredients. Mix with your hands until everything is coated well and spread out on the pan evenly. 5. 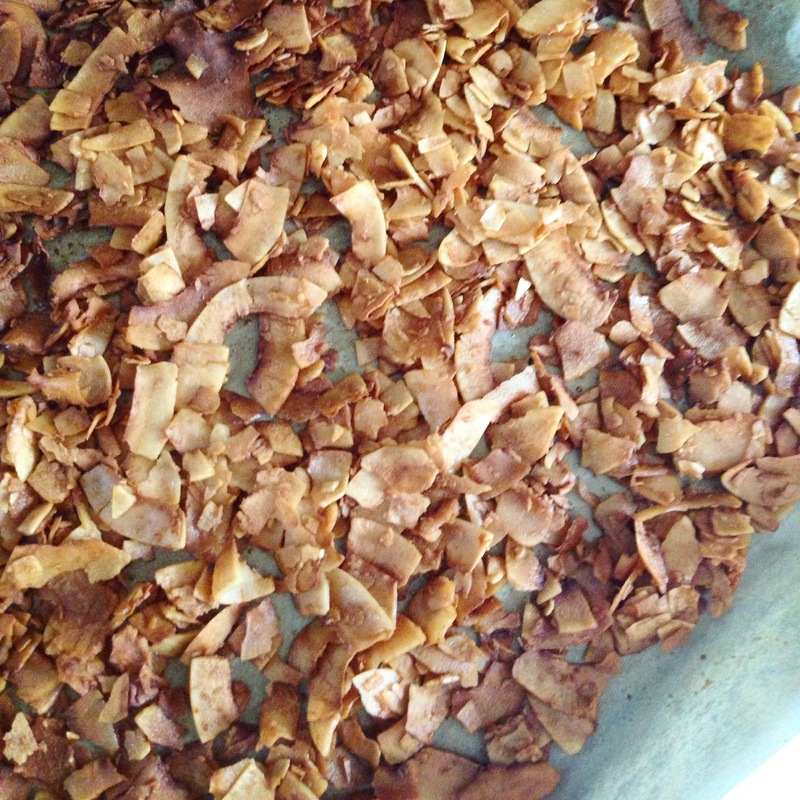 Bake for 12 min for soft bacon or 14-15 minutes for crisp, well-done bacon. Please keep an eye on it from the 10-minute mark on, as oven settings will vary. 6. Remove from the oven and let it cool. Use it that day or store in an air tight container in the refrigerator for the week. This also keeps well in the freezer, so you can batch cook this in advance for the month so that you always have some on hand.